Mac Adware Cleaner is the PUP that uses misleading techniques to prevent removal. Use Reimage to locate malicious components and get rid of them faster than with uninstall instructions. A full system scan blocks virus reappearance and prevents traffic to malicious domains. Mac Adware Cleaner is a potentially unwanted program that targets Mac users and offers an ambiguous functionality. This cyber threat usually gets into machines with the help Advanced Mac Cleaner which is often installed via software bundling. Beware that each of these programs is useless and can hardly improve your PC's functionality. In addition, Mac Adware Cleaner can get into the system via “Recommended Download” pop-up that can reappear on Google Chrome, Safari, Mozilla Firefox or other browsers because of adware hiding inside the system. Symptoms Excessive advertisement, unexpected system scans, redirects, etc. The official website consists of a bunch of fake reviews and bogus “approvals” from legitimate security companies and other known names, such as The Washington Post or the iPad-only news app The Daily. It is clear that, by using these names, developers of this treacherous app are only seeking to earn money. Beware that this program can hardly detect malicious entries on your computer and the only way to fix your system is to get rid of Mac Adware Cleaner without wasting your time. As soon as Mac Adware Cleaner virus enters the targeted Mac, it performs multiple scans automatically. Users might not even understand where are they coming from or what is their purpose. Nevertheless, as soon as the scan is complete, the app typically shocks the user with multiple warnings about malicious threats and other problems detected. To fix these problems, the user should buy a licensed version which costs $49.95. We understand that software developers cannot give out their products for free. However, this is more of a scam than an actually useful product. The threats found are bogus and do not impact your machine in any way. Therefore, users often look for ways how to delete Mac Adware Cleaner from their device. Nevertheless, it is a correct action and the right step towards clean and smoothly-running Mac. To remove Mac Adware Cleaner, we highly recommend using Reimage or another reputable anti-spyware program. Make sure you reset your web browsers to eliminate its popups entirely. If you are not an experienced user, jump to the guide below to see how it's done. 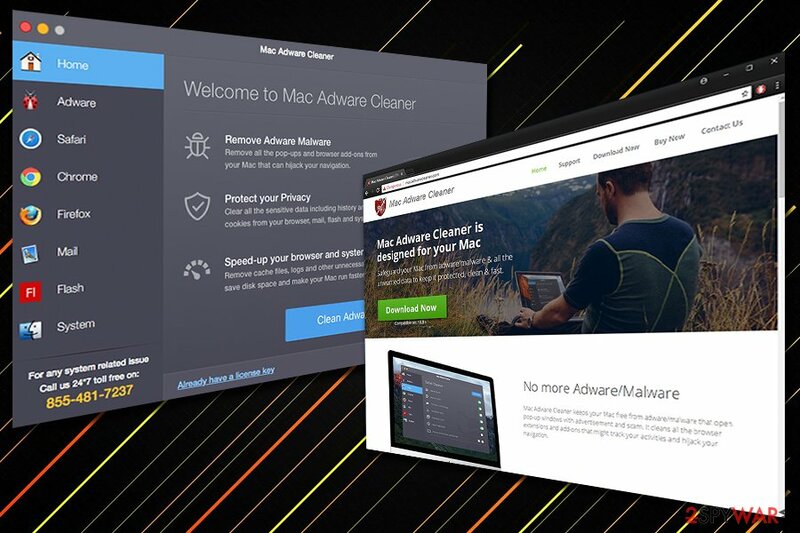 Mac Adware Cleaner ads promote a bogus software which is supposed to protect Macs from malware, adware, and various viruses. The problem with this application is not only its phony scan results. It is also considered to be adware which floods machines with unending advertisements, redirects to potentially dangerous sites, and clutters the device with other useless software. Thus, developers know everything about your browsing habits. What is more, if you purchase the licensed version, you will be prompted to provide personal data, such as name, address, credit card details, etc. This information can be potentially stolen and used by cybercriminals, as it is unclear what security precautions are practiced. Before you proceed with Mac Adware Cleaner removal, we suggest you check out a paragraph about potentially unwanted program distribution below to prevent further infiltration of similar applications. Just like the vast majority of PUPs, this one was also installed on the device along with other software. Thus, if you have recently introduced a new program or some other files from unknown sources, the unwanted app might have sneaked in as well. We want to point out that it’s important to choose only reliable sources for downloads. Stay away from torrents, P2P networks, insecure sites, and similar questionable sources, and download such content from publisher’s websites. Additionally, you need to pay attention to the installation procedure itself. Do not rely on Quick or Standard modes and always opt for Custom or Advanced option. The Quick installation settings do not reveal optional third-party apps that might have been attached to the primary program. As a result, they are installed by default. 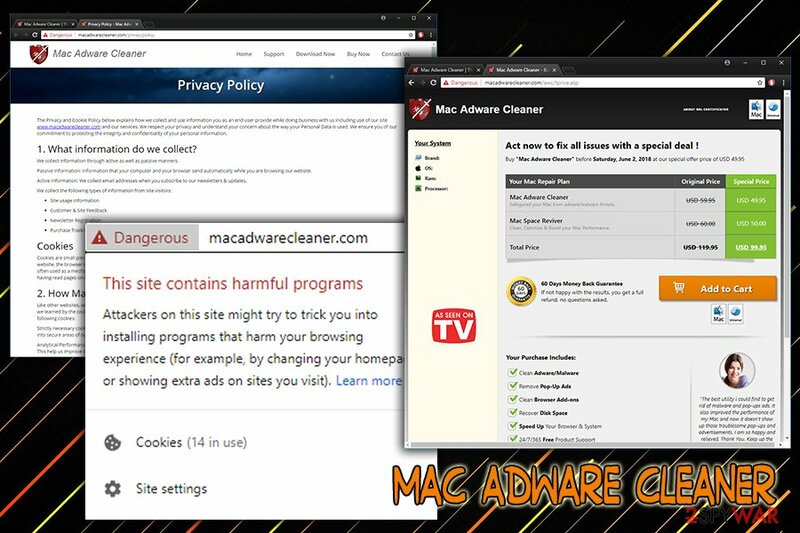 Install Mac Adware Cleaner now to protect your Mac device from malware, adware and other security threats. Open the Utilities folder and launch Activity Monitor. In the Activity Monitor look for the Advanced Mac Cleaner (or/and Mac Adware Cleaner). Click on it and select Quit Process option. You will receive a dialog window asking if you want to quit Advanced Mac Cleaner. Click on the Force Quit button. Click Go button and select Applications. In the Applications list, look for the Advanced Mac Cleaner. Once you find it, right-click on it and choose Move to Trash. You might be asked to enter user password, thus enter it. Launch Apple menu (Apple icon on the top left corner) and select System Preferences. In the System Preferences go to Accounts and select Login Items. In the appeared list look for the Advanced Mac Cleaner and click on the “-” button. When Mac Adware Cleaner removal is completed, you have to make sure that no other suspicious entries have been installed on your web browsers. As we already mentioned, PUPs can install additional components which can be well hidden within your system. Thus, in order to get rid of Mac Adware Cleaner virus completely, you should use trusted anti-malware software that can find all the unwanted components automatically. Mac Adware Cleaner ads are usually caused by Advanced Mac Cleaner. Thus, you need to uninstall this shady application from the device. Once you do that, reset all web browsers that are installed on your device. Wait until you see Applications folder and look for Mac Adware Cleaner or any other suspicious programs on it. Now right click on every of such entries and select Move to Trash. Follow the instructions below to reset Mozilla Firefox after the Mac Adware Cleaner hijack. It helps to delete all shady entries that might be responsible for delivering ads and causing other problems. Here, select Mac Adware Cleaner and other questionable plugins. Click Remove to delete these entries. Now you will see Reset Firefox to its default state message with Reset Firefox button. Click this button for several times and complete Mac Adware Cleaner removal. Here, select Mac Adware Cleaner and other malicious plugins and select trash icon to delete these entries. Click Reset to confirm this action and complete Mac Adware Cleaner removal. Once you reset Safari, ads by Mac Adware Cleaner will disappear from your browser. The guidelines below will help you to do that. Here, select Extensions and look for Mac Adware Cleaner or other suspicious entries. Click on the Uninstall button to get rid each of them. Now you will see a detailed dialog window filled with reset options. All of those options are usually checked, but you can specify which of them you want to reset. Click the Reset button to complete Mac Adware Cleaner removal process. ^ Chris Hoffman. PUPs Explained: What is a “Potentially Unwanted Program”?. How-to Geek. Includes help, tutorials, tips and how-to guides for Windows and Linux. ^ UsunWirusa. UsunWirusa. 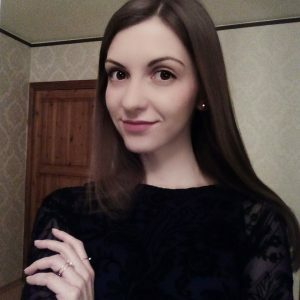 Polish cybersecurity site. This entry was posted on 2018-06-01 at 05:03 and is filed under Adware, Viruses. You can quickly scan the QR code with your mobile device and have Mac Adware Cleaner ads manual removal instructions right in your pocket. How did you remove Mac Adware Cleaner ads?